November 8 & 27, 2018, Dominican Republic. Once again, Mission Relief Services was able to provide urgently-needed medical-surgical supplies and equipment to Diogenes Molina of New York for further shipment to his associates in the Dominican Republic. We loaded two 16’ box trucks with 5 hospital beds, 7 stretchers, 5 examination tables, 5 dental chairs/stands, 5 dental stools, 5 IV poles, 55 overbed tables, two electric wheelchair/scooters, 22 potty chairs, 6 shower chairs, two benchtop centrifuges and five pallets’ worth of assorted medical-surgical supplies. October 26, 2018, Middle East. Mission Relief Services transferred to Rim Bakir and Aloush Yemen of the Narenj Tree Foundation of Norristown PA 9 pallets of assorted medical-surgical supplies, 11 mobile recliner chairs, a patient sleeper chair and a large assortment of recycled suitcases. These items will be consolidated into larger container loads of humanitarian assistance materials for various displaced communities in several Middle Eastern countries. October 22, 2018, Dominican Republic. Another truckload of urgently-needed medical-surgical supplies and equipment was provided to Diogenes Molina of New York for further shipment to his associates in the Dominican Republic. A 26’ box truck was loaded with two examination chairs, a podiatry chair, 2 cooler-heaters, a tabletop grinder, a hysteroscopy pump, an injector system, and a mobile digital infant scale. The load was rounded out with a pallet each of used eyeglasses, powder-free examination gloves, surgical masks, tuberculin syringes and assorted medical-surgical supplies. 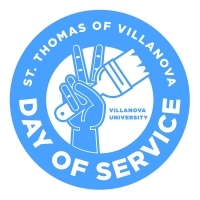 for another wonderful and productive day of service. August 27, 2018, container# CMAU 7631907, seal# 0720068, Sierra Leone, Africa. The Healey International Relief Foundation of Lumberton, NJ is very active in Freetown Sierra Leone where they have developed community medicine projects, and supported the rebuilding of the Seruba Hospital complex. We developed this container to match their needs list of hospital. Electric wheelchairs, a stretcher, office and dining room furniture, linens and medical-surgical supplies were shipped in the container. Local priests and nuns help manage the project in Freetown, and the recipients are receiving the finest in care. This is the fourth project that we shipped for the Healey International Relief Foundation of New Jersey. August 23, 2018, Ghana. Ms. Akosua Opoku – an ex-patriate of Ghana – coordinated this container shipment to her compatriots in that West African country. Included in this shipment were 16 hospital beds, 70+ hospital bed mattresses, four Midmark 100 examination tables, three dozen rolling office chairs, and a plethora of other medical-surgical accessories and supplies. August 15, 2018, Honduras. Dr. Bob Sumner – President of Serving at the Crossroads – requested some medical-surgical equipment and supplies from Mission Relief Services to help fill an ocean container he was assembling for shipment to the Central American country of Honduras. MRS responded by transporting a valuable assortment of items to Dr. Sumner’s facility in Media, Pennsylvania. Included were 6 mobile recliners, 1 eye stretcher chair, 4 Hill-Rom TranStar stretchers, 15 tables, 74 waiting room chairs 39 assorted uninterrupted power source (UPS) units. July 20, 2018, Middle East. Mission Relief Services transferred to Rim Bakir and Aloush Yemen of the Narenj Tree Foundation of Norristown PA 11 pallets of assorted medical-surgical kits, 12 IV poles and 10 wheelchairs – all of which were to be consolidated into larger container loads of humanitarian assistance materials for various displaced communities in several Middle Eastern countries. Mission Statement: Mission Relief is a private, non-profit humanitarian aid organization specializing in redistribution of medical and surgical supplies to third world countries throughout the world. Mission Relief collects donated supplies from hospitals, nursing homes and other healthcare facilities; processes these supplies; and ships them directly to designated areas through the responsible stewardship of donations, Mission Relief helps healthcare facilities globally serve those most in need.